The Japanese term Kirishitan(吉利支丹, 切支丹, キリシタン, きりしたん), from Portuguese cristão (cf. Kristang), referred to Roman Catholic Christians in Japanese and is used in Japanese texts as a historiographic term for Roman Catholics in Japan in the 16th and 17th centuries. Papia Kristang, or just Kristang, is a creole language. It is spoken by the Kristang, a community of people of mixed Portuguese and Asian ancestry, chiefly in Malacca (Malaysia). Modern Japanese has several ways of spelling Christian of which the most common are the noun form kirisuto-kyōto キリスト教徒, and also kurisuchan クリスチャン. The Japanese spelling kirishitan キリシタン is used primarily in Japanese texts for the early history of Roman Catholicism in Japan, or in relation to Kakure Kirishitan , Hidden Christians. However, English sources on histories of Japan generally use the term "Christian" without distinction. Christian missionaries were known as bateren (from the Portuguese word padre, "father")  or iruman (from the Portuguese irmão, "brother"). Both the transcriptions 切支丹 and 鬼利死丹 came into use during the Edo Period when Christianity was a forbidden religion. The Kanji used for the transcriptions have negative connotations. The first one could be read as "cut off support", and the second as "devils who profit from death". Portuguese ships began arriving in Japan in 1543,  with Catholic missionary activities in Japan beginning in earnest around 1549, mainly by Portuguese-sponsored Jesuits until Spanish-sponsored mendicant orders, such as the Franciscans and Dominicans, gained access to Japan. Of the 95 Jesuits who worked in Japan up to 1600, 57 were Portuguese, 20 were Spaniards and 18 Italian. Francis Xavier,   Cosme de Torres (a Jesuit priest), and João Fernandes were the first to arrive to Kagoshima with hopes to bring Christianity and Catholicism to Japan. At its height, Japan is estimated to have had around 300,000 Christians. 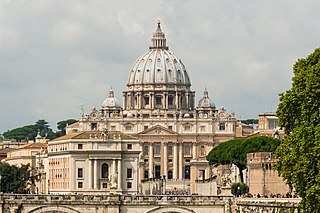 Catholicism was subsequently repressed in several parts of the country and ceased to exist publicly in the 17th century. A mendicant is one who practices mendicancy (begging) and relies chiefly or exclusively on charitable donations to survive. In principle, mendicant religious orders do not own property, either individually or collectively, and members have taken a vow of poverty, in order that all their time and energy could be expended on practicing or preaching and serving the poor. It is a form of asceticism. Pope Alexander VI, born Rodrigo de Borja, was Pope from 11 August 1492 until his death. He is one of the most controversial of the Renaissance popes, partly because he acknowledged fathering several children by his mistresses. Therefore his Italianized Valencian surname, Borgia, became a byword for libertinism and nepotism, which are traditionally considered as characterizing his pontificate. The countries disputed the attribution of Japan. Since neither could colonize it, the exclusive right to propagate Christianity in Japan meant the exclusive right to trade with Japan. Portuguese-sponsored Jesuits under Alessandro Valignano took the lead in proselytizing in Japan over the objection of the Spaniards, starting in 1579. 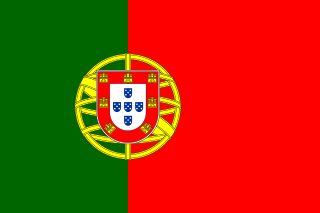 The fait accompli was approved in Pope Gregory XIII's papal bull of 1575, which decided that Japan belonged to the Portuguese Diocese of Macau. In 1588, the diocese of Funai (Nagasaki) was founded under Portuguese protection. Alessandro Valignano was an Italian Jesuit missionary born in Chieti, part of the Kingdom of Naples, who helped supervise the introduction of Catholicism to the Far East, and especially to Japan. In rivalry with the Jesuits, Spanish-sponsored mendicant orders entered into Japan via Manila. While criticizing Jesuit activities, they actively lobbied the Pope. Their campaigns resulted in Pope Clement VIII's decree of 1600, which allowed Spanish friars to enter Japan via the Portuguese Indies, and Pope Paul V's decree of 1608, which abolished the restrictions on the route. The Portuguese accused Spanish Jesuits of working for their homeland instead of their patron. The power struggle between Jesuits and mendicant orders caused a schism within the diocese of Funai. Furthermore, mendicant orders tried in vain to establish a diocese on the Tōhoku region that was to be independent from the Portuguese one. The Roman Catholic world order was challenged by the Netherlands and England. Theoretically, it was repudiated by Grotius's Mare Liberum. 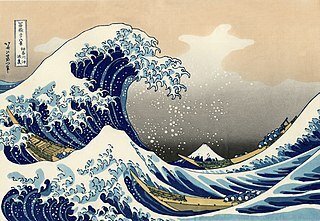 In the early 17th century, Japan built trade relations with the Netherlands and England. Although England withdrew from the operations in ten years under James I due to lack of profitability, the Netherlands continued to trade with Japan and became the only European country that maintained trade relations with Japan until the 19th century. As trade competitors, the Protestant countries engaged in a negative campaign against Catholicism, and it subsequently affected shogunate policies toward the Iberian kingdoms. The Jesuits believed that it was better to seek to influence people in power and then allow the religion to be passed downwards to the commoners later. They tried to avoid suspicion by not preaching to the commoners without permission from the local rulers to propagate Catholicism within their domains. As a result, several daimyō became Christians, soon to be followed by many of their subjects as the Dominicans and Augustinians were able to begin preaching to the commoners. After the edict banning Christianity, there were communities that kept practicing Catholicism without having any contact with the Church until missionaries were able to return much later. Having a religious background, Takahisa showed himself to be benevolent and already allowed freedom of worship but not helping the missionaries nor favoring their church. Failing to find a way to the centre of affairs, the court of the Emperor, Xavier soon tired and left to Yamaguchi thus beginning the Yamaguchi period. Xavier stayed in Yamaguchi for two months on his way to an abortive audience with the Emperor in Kyoto. Yamaguchi was already a prosperous and refined city and its leaders, the Ōuchi family, were aware that Xavier's journey to Japan had begun after the completion of his mission in India. By 1587, Hideyoshi had become alarmed by reports that Christian lords oversaw forced conversions of retainers and commoners, that they had garrisoned the city of Nagasaki, that they participated in the slave trade of other Japanese and, apparently offending Hideyoshi's Buddhist sentiments, that they allowed the slaughter of horses and oxen for food. 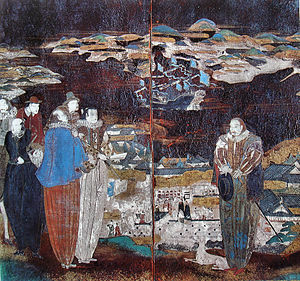 After his invasion of Kyushu, Hideyoshi Toyotomi promulgated the Purge Directive Order to the Jesuits(バテレン追放令,bateren tsuihō rei) on July 24, 1587. It consists of 11 articles: "No. 10. Do not sell Japanese people to the Nanban (Portuguese)." [ citation needed ] Among the contents were a ban on missionaries. The Jesuits in Nagasaki considered armed resistance, but the plans did not come to fruition. Led by Coelho, they sought help from Kirishitan daimyōs, but the daimyōs refused. Then they called for a deployment of reinforcements from their homeland and its colonies, but this plan was abolished by Valignano. Like the Kirishitan daimyōs, he realized that a military campaign against Japan's powerful ruler would bring catastrophe to Catholicism in Japan. Valignano survived the crisis by laying all the blame on Coelho, and in 1590, the Jesuits decided to stop intervening in the struggles between the daimyōs and to disarm themselves. They only gave secret shipments of food and financial aid to Kirishitan daimyōs. Most Japanese Christians lived in Kyushu, but Christianization was not a regional phenomenon and had a national impact. By the end of the 16th century it was possible to find baptized people in virtually every province of Japan, many of them organized in communities. On the eve of the Sekigahara battle, fifteen daimyōs were baptized, and their domains stretched from Hyūga in Southeast Kyushu to Dewa in North Honshū. Hundreds of churches had been built throughout Japan. The Japanese missions were economically self-sufficient. Nagasaki's misericórdias became rich and powerful institutions which every year received large donations. The brotherhood grew in numbers to over 100 by 1585 and 150 in 1609. Controlled by the elite of Nagasaki, and not by Portuguese, it had two hospitals (one for lepers) and a large church. By 1606, there already existed a feminine religious order called Miyako no Bikuni ("nuns of Kyoto") which accepted Korean converts such as Marina Pak, baptized in Nagasaki. Nagasaki was called "the Rome of Japan" and most of its inhabitants were Christians. By 1611, it had ten churches and was divided into eight parishes including a specifically Korean order. The number of active Christians is estimated to have been around 200,000 in 1582. There were likely around 1,000 known martyrs during the missionary period. In contrast, Christians attach a great importance to martyrdom and persecution, noting that countless more people were dispossessed of their land and property leading to their subsequent death in poverty. ↑ Cooper, page 160: "I have received information that in your kingdoms the promulgation of the law, i.e. Christianity, is a trick and deceit by which you overcome other kingdoms, he wrote in a letter to the Philippines in reply to the embassy led by Navarrete Fajardo in 1597. Christian missionaries, in Hideyoshi's mind, represented the first wave of European imperialism." ↑ Higashibaba, page 139: The Kirishitan band happened to reach Japan. Not only have they sent merchant vessels to exchange commodities, but they also spread a pernicious doctrine to confuse the right ones, so that they would change the government of the country and own the country. This will become a great catastrophe. We cannot but stop it. The Tenshō embassy was an embassy sent by the Japanese Christian Lord Ōtomo Sōrin to the Pope and the king of Spain in 1582. The embassy was led by Mancio Itō, a Japanese nobleman, who was the first official Japanese emissary to Europe. João Rodrigues, distinguished as Tçuzu and also known by other names in China and Korea, was a Portuguese sailor, warrior, and Jesuit interpreter, missionary, priest, and scholar in Japan and China. He is now best known for his linguistic works on the Japanese language, including The Art of the Japanese Language. He was also long erroneously supposed to have been the main compiler of the first Japanese–Portuguese dictionary, published in 1603. Gaspar Coelho was a Portuguese Jesuit missionary. He replaced Francisco Cabral as the Superior and Vice-Provincial of the Jesuit mission in Japan during the late 16th century. He is most noted for catalyzing the disfavor of Toyotomi Hideyoshi against the Jesuit mission in Japan in 1587. Christianity in Japan is among the nation's minority religions. Around 1 percent of the population claims Christian belief or affiliation. Most large Christian denominations, including Roman Catholicism, Protestantism, and Orthodox Christianity, are represented in Japan today. Since the mid-1990s, the majority of Japanese, despite claiming to be nonreligious, wed in Christian-style ceremonies which has had a major impact on Japanese Christianity. The Twenty-Six Martyrs of Japan were a group of Catholics who were executed by crucifixion on February 5, 1597, at Nagasaki. Their martyrdom is especially significant in the history of Catholic Church in Japan. The Martyrs of Japan were Christian missionaries and followers who were persecuted and executed for being more loyal to Jesus than the Shogunate, mostly during the Tokugawa shogunate period in the 17th century. Matsura Takanobu or Taqua Nombo was a 16th-century Japanese samurai and 25th hereditary lord of the Matsura clan of Hirado. He was one of the most powerful feudal lords of Kyūshū and one of the first to allow trading with Europeans, particularly the Portuguese, through whom he amassed great profits in the import of western firearms. He was also an early host and patron to the Jesuits, who he hoped would help secure an increase in trade with the Portuguese and other European traders. Christian missionaries arrived with Francis Xavier and the Jesuits in the 1540s and briefly flourished, with over 100,000 converts, including many daimyōs in Kyushu. It soon met resistance from the highest office holders of Japan. Emperor Ogimachi issued edicts to ban Catholicism in 1565 and 1568, but to little effect. Beginning in 1587 with imperial regent Toyotomi Hideyoshi's ban on Jesuit missionaries, Christianity was repressed as a threat to national unity. After the Tokugawa shogunate banned Christianity in 1620 it ceased to exist publicly. Many Catholics went underground, becoming hidden Christians, while others lost their lives. Only after the Meiji Restoration was Christianity re-established in Japan. St. Paul's College of Macau also known as College of Madre de Deus was a university founded in 1594 in Macau by Jesuits at the service of the Portuguese under the Padroado treaty. It claims the title of the first Western university in East Asia. The monumental Istoria della Compagnia di Gesu, in 6 folio volumes by the Jesuit man of letters and historian Daniello Bartoli is the most extensive classic of Italian literature, over ten thousand pages long. It begins the centenary history of the Jesuits between 1540 and 1640 with an authoritative if somewhat ponderous biography of the founder Ignatius Loyola. 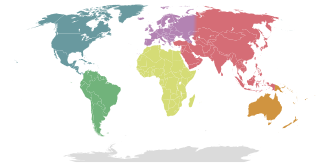 The Nanban trade or the Nanban trade period in the history of Japan extends from the arrival of the first Europeans – Portuguese explorers, missionaries and merchants – to Japan in 1543, to their near-total exclusion from the archipelago in 1614, under the promulgation of the "Sakoku" Seclusion Edicts. Hidden Christian Sites in the Nagasaki Region is a group of twelve sites in Nagasaki Prefecture and Kumamoto Prefecture relating to the history of Christianity in Japan. The Nagasaki churches are unique in the sense that each tells a story about the revival of Christianity after a long period of official suppression. The Martyrs of Japan were Christian missionaries and followers who were persecuted and executed for their faith in Japan, mostly during the Tokugawa shogunate period in the 17th century. Francisco Blanco was a Spanish Roman Catholic Franciscan missionary and martyr, one of the Twenty-six Martyrs of Japan. He is revered as a saint by the Catholic and other Christian churches, particularly in Japan. On 19 October 1596, the Spanish ship San Felipe was shipwrecked in Urado on the Japanese island of Shikoku en route from Manila to Acapulco. The local daimyō Chōsokabe Motochika seized the cargo of the richly laden Manila galleon, and the incident escalated all the way up to Toyotomi Hideyoshi, ruling taikō of Japan. 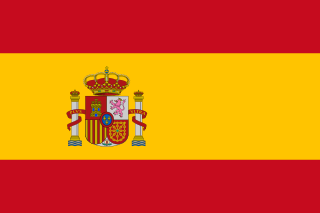 The pilot of the ship incautiously suggested to Japanese authorities that it was Spanish modus operandi to have missionaries infiltrate a country before an eventual military conquest, as had been done in the Americas. This led to the crucifixion of 26 Christians in Nagasaki, the first lethal persecution of Christians by the state in Japan. The executed were later known as the Twenty-Six Martyrs of Japan. Herbermann, Charles, ed. (1913). "Japan" . Catholic Encyclopedia . New York: Robert Appleton Company. Herbermann, Charles, ed. (1913). "St. Francis Xavier" . Catholic Encyclopedia . New York: Robert Appleton Company. Ruiz de Medina, Father Juan Garcia (1995) . Documentos del Japón[Documents from Japan]. Rome. Costa, João Paulo Oliveira, Portugal e o Japão: O século namban[Portugal & Japan: the Namban Century] (in Portuguese), Lisbon: Imprensa Nacional . Fróis, Luís, SJ (1976–1984), Wicki, José, SJ, ed., Historia de Japam[History of Japan](5 vols)|format= requires |url= (help) (in Portuguese), Lisbon: Biblioteca Nacional . Sá, Isabel dos Guimarães (1997), Quando o rico se faz pobre: Misericórdias, caridade e poder no império português 1500–1800[When the rich makes himself poor: Misericórdias, charity & paower in the Portuguese empire, 1500–1800], Lisbon: Comissão Nacional para as Comemorações dos Descobrimentos Portugueses . ———, Francis Xavier, His Times His Life(4 vols)|format= requires |url= (help), Rome: Jesuit Historical Institute .